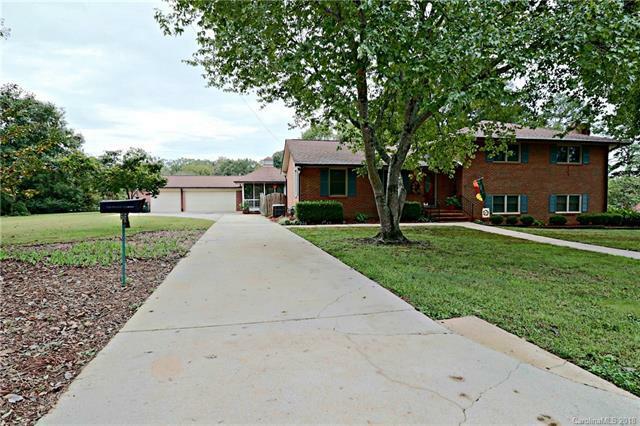 Step into this beautiful tri-level home and you will feel the excitement for what you can do with this spacious house. The home slowly unwraps to reveal large rooms, great storage and wonderful flow. As you make your way to the back of the house and into the renovated kitchen, you see the gem of this property... the backyard! The landscaping alone is enough to entice you to pull out your checkbook! But wait! The screened in gazebo and the three-car, detached garage (with a bump out) are not to be missed. The fenced in yard is just a part of this sprawling property. The property line continues out past the garage and into the wooded area (a great area for gardening and Autumn fire pits!) The sellers loved this home for 40 years! Now it's your turn to come and love this house into everything you've dreamed of. Sold by Allen Tate Steele Creek.